Happy weekend sweet paper peeps! 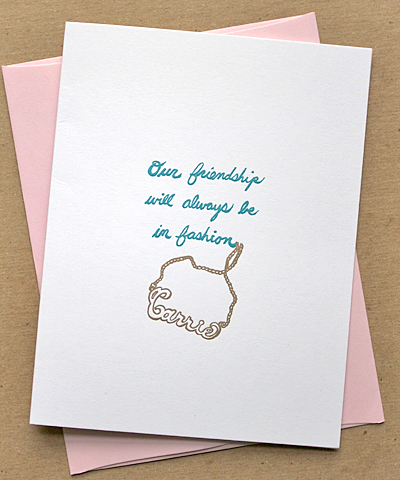 This week’s “Sweet Greeting” is inspired by weekend plans filled with friends and fabulousness. Starting with an afternoon baby shower followed by ladies night with my oldest and dearest friends, and possibly the pumpkin patch on Sunday. I hope you all have fun filled weekends ahead and get to spend lots of quality time with your loved ones. If not, grab a card and send them some love, its the next the best thing!